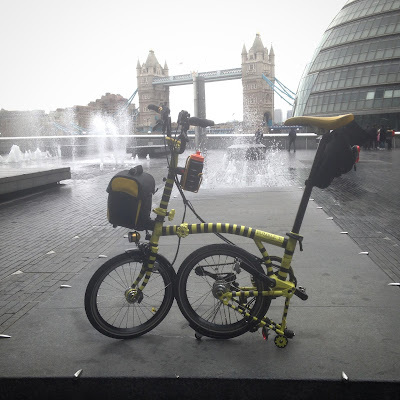 Back in early in June, on my travels though the Brompton facebook groups I spotted something that perked my interest. 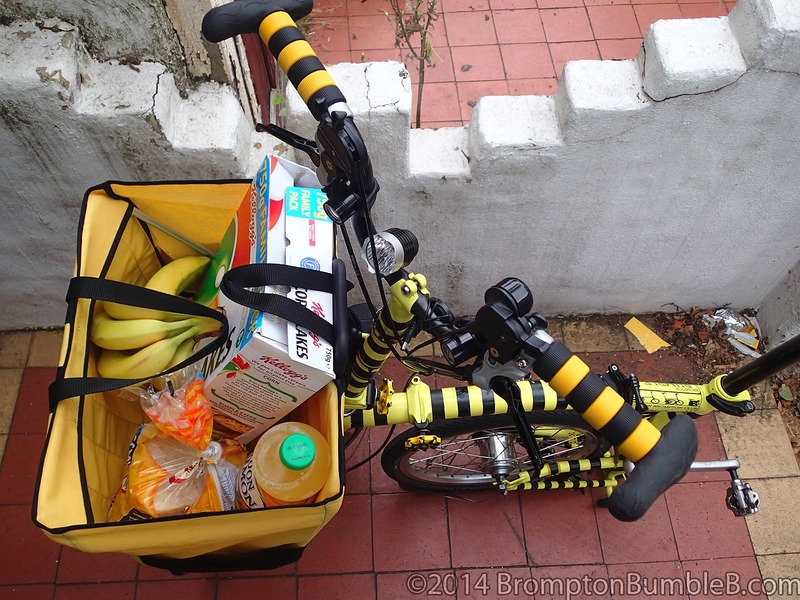 It was a design based on Brompton's Folding Basket but instead the material of the basket was red with white spots. It looked pretty cool and ofcourse I thought of something for the Legend. Sometimes I have big oversized loads and wanted to make sure I could transport it safely and this looked pretty good for those rare occasions. 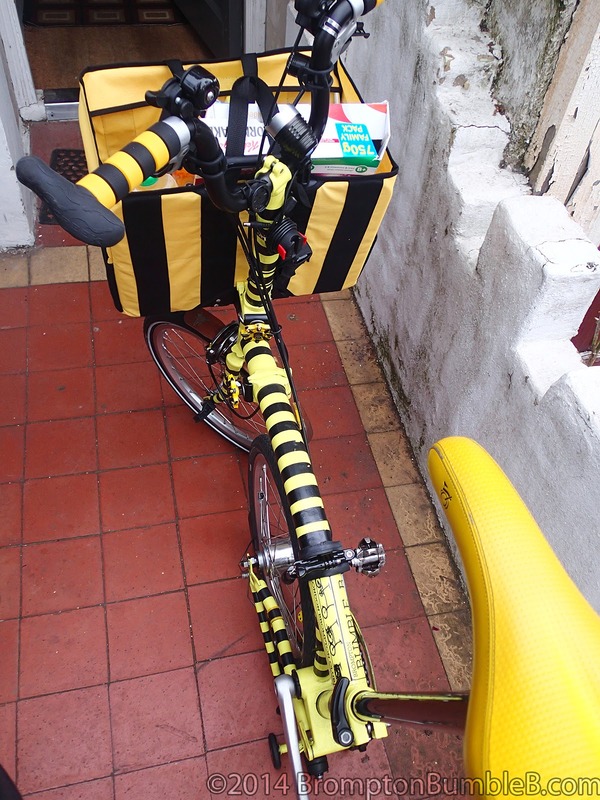 I made a passing comment about would love one but in BumbleB's famous black & yellow stripes. 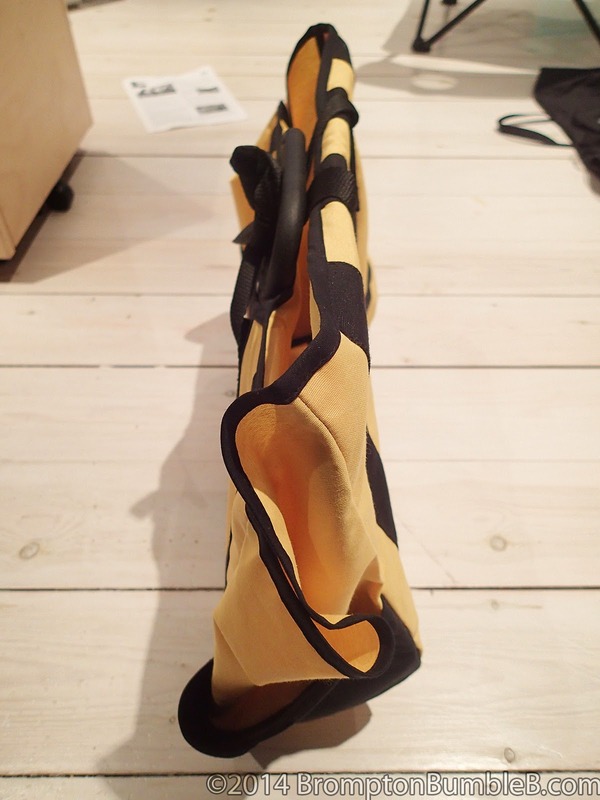 Not long after I made this comment I was contacted by Valeria Lopes who made the custom folding basket and asked if she could find something suitable if I would be interested in one. It took me all of 1 billionth of a second to say ofcourse we would be interested so long that the design was right. A few days later I got a fb mail with a photo attached. I thought DAMN its perfect for BBB and was a pretty good early birthday present for my little folding buddy. 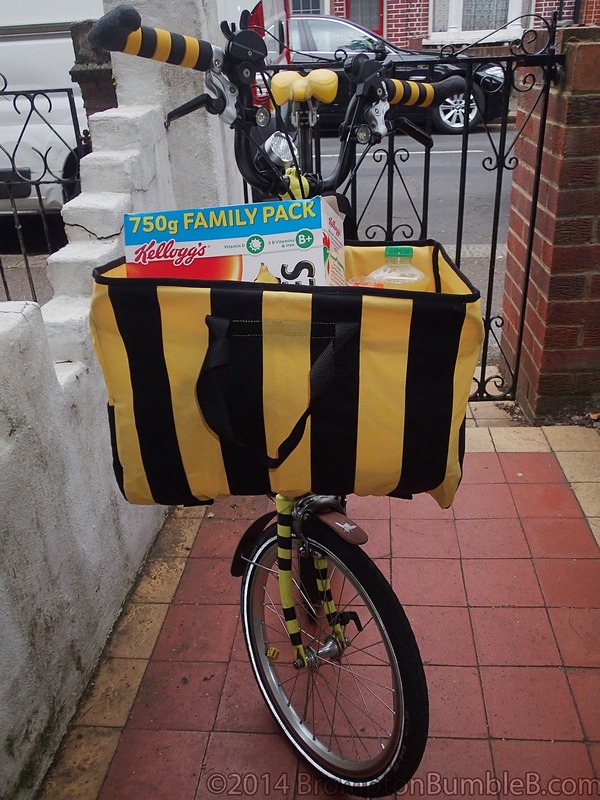 So we waited..........while I waited I had to purchase "Brompton Bag Frame For C,T,Folding Basket" which you should be able to get at your local Brompton stockist. I swear time dragged on, I was tracking the package online and swear the courier was leaving my package till the last possible moment. I had to actually stop tracking as it seemed that took forever to get here to the HiVE. When I opened up the package I was even more surprised and delighted what I found. So I wasted no time in installing the frame and brace. 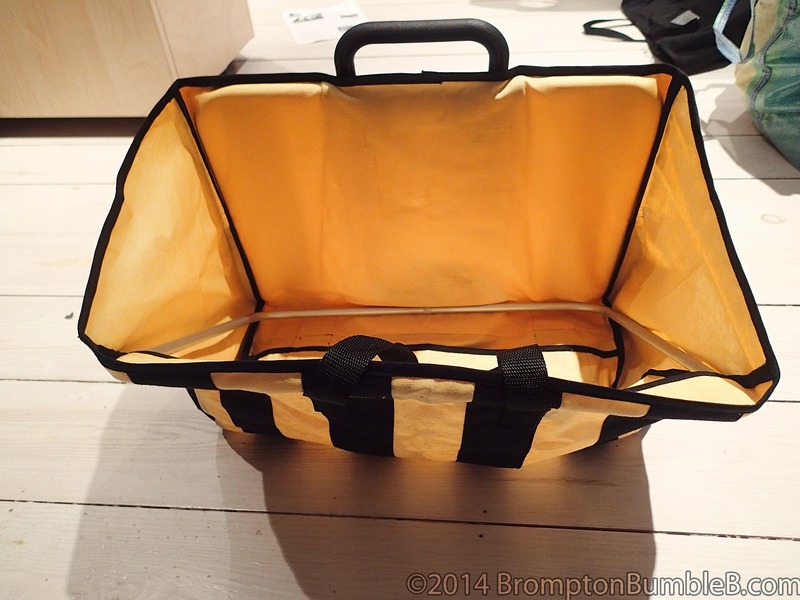 From what I can tell the capacity is the same as the original Brompton Folded Basket and appears to be made from hard wearing materials. 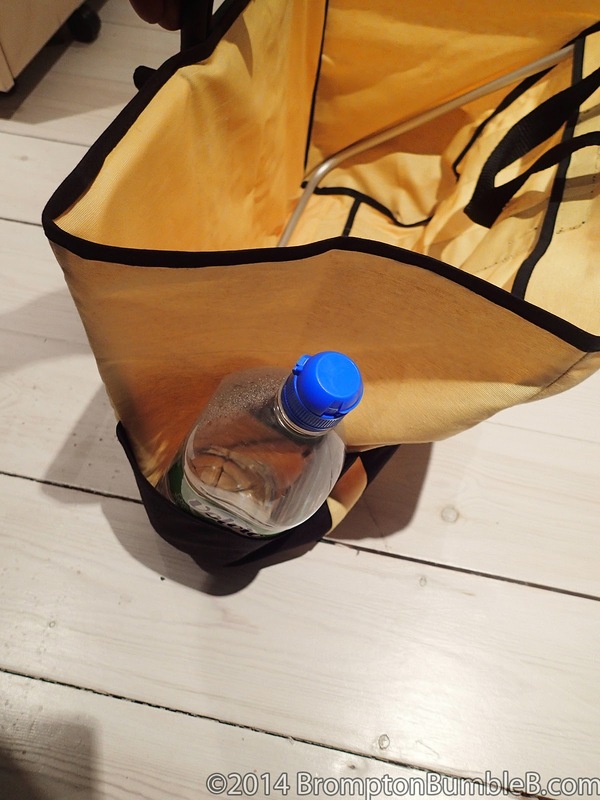 Also there are little side pockets as well which can be very handy as well. 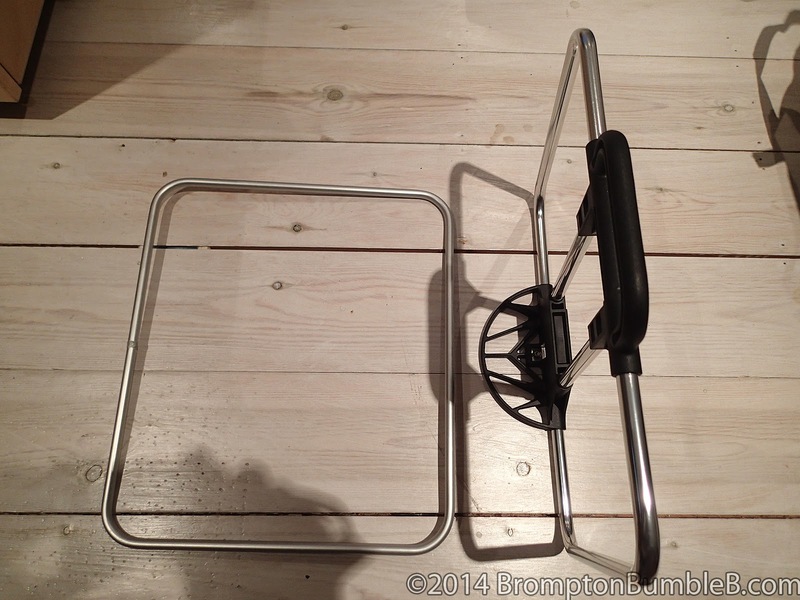 The basket uses the same frame & brace as the Brompton Basket and is simple to install and using very good velco straps to keep it all attached to the Brompton Basket frame and brace on the inside. As you can see it takes quiet a good load. 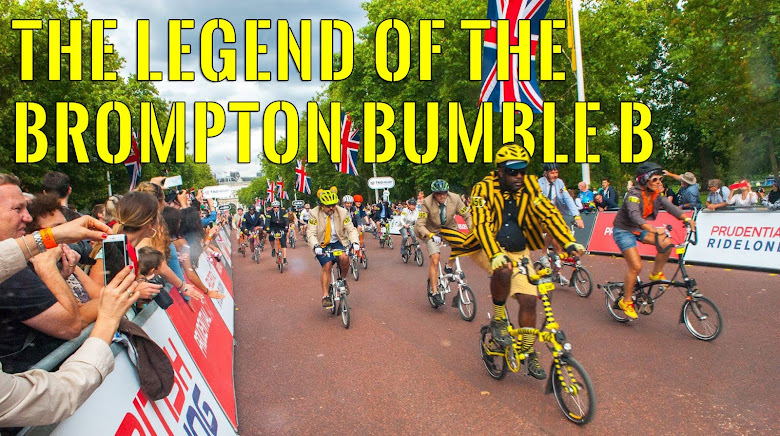 Made by the awesome Valeria Lopes who is on facebook (fb mail her for prices & requests) & a few Brompton related facebook groups or email her valeriabclopes@hotmail.com. Contact her and you can discuss all types of different designs patterns. Welcomes feedback and improvements. 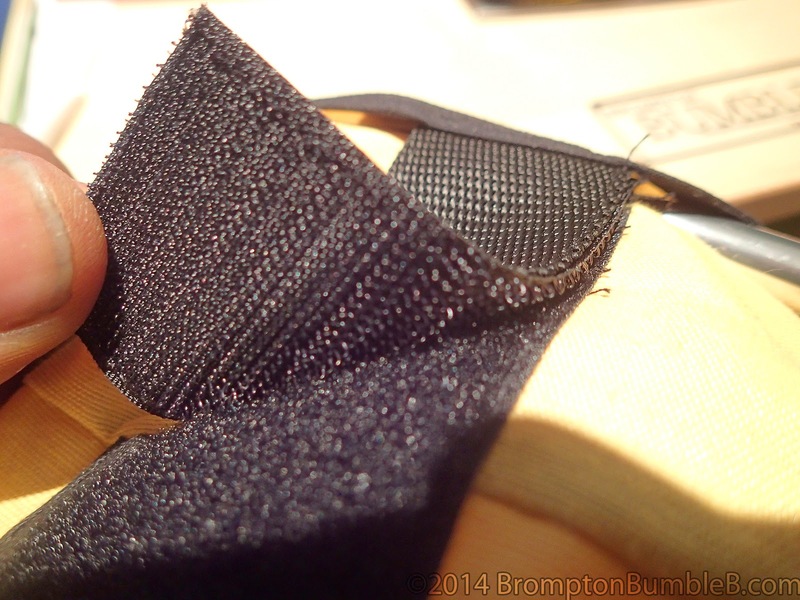 Review: Vincita’s B203B "Office Bag City"